The Joint Opposition yesterday urged the Government to introduce a formula to increase the salaries of public and private sector employees as they did fuel price revisions every month. 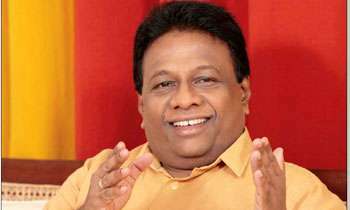 Joint Opposition MP Dullas Alahapperuma told a news conference that the Government should also introduce a Samurdhi formula and a Transportation Formula to resolve the issues faced by the people due to the continuous fuel price increases. He said all the rates and prices of other essential services in the country were rising because of the fuel price hike. He added that nobody, including President Maithripala Sirisena, had an exact idea how this formula worked out and implemented. “The attempts to obtain the details and procedures of this formula under the Right to Information (RTI) Act by several parties have failed. What is this cryptic formula? Even former finance minister MP Ravi Karunanayake has raised concerns over it,” he said. SORRY ....... WAIT UNTIL HE READS THE NEWS PAPERS. I THINK PREZ HAS GOT AN IDEA FROM FORMULA RACING, NOW HE KNOWS HOW TO ACCELERATE ANYTHING. lets give him some formula.